Start by mixing your southwestern ranch dressing. Super simple… it’s 1/3 cup ranch dressing mixed with 3 tablespoons of your favorite red enchilada sauce. I mixed it in a mason jar and kept it in the fridge until ready to serve. You’ll have some extra, I used it on salads throughout the week just to mix things up a bit! Next, it’s time to roast the bell peppers. You can use whatever colors of peppers you like, I did one each of yellow, green and red to get some great color in the dish. I cut mine up into similar sized bites for even roasting time. Lay out some parchment paper on a cookie sheet and preheat the oven to 450. Put the peppers in the oven for 25-30 minutes, rotating the pan in the oven every 10 minutes or so. While the peppers are roasting, it’s time to get the rest of the salad components ready. I start with chopped romaine lettuce, and I make the salads right into individual bowls for family dinner. One bunch of romaine lettuce makes about 4 dinner-sized salads for us. 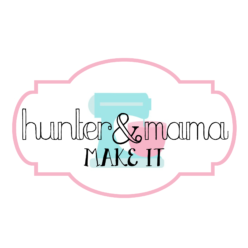 If you only need 2 salads, I recommend putting the remaining lettuce right into 2 individual tupperware containers for lunch the next day! Once you split the lettuce into 4 bowls, it’s time for all the yummy toppings! Drain and rinse one can of pinto beans, then divide among your salad bowls. Next, divide 3/4 cup fresh or thawed from frozen corn kernels among the salads. Follow this with one large diced tomato and one large diced avocado. Finally, garnish each salad with green onion and shredded cheese, if desired. Once your bell peppers are out of the oven, top each salad with a handful of roasted peppers, and drizzle with the southwestern ranch dressing. The perfect way to spice up your salad routine! Mix the ranch dressing and red enchilada sauce together, store in the fridge until ready to serve. 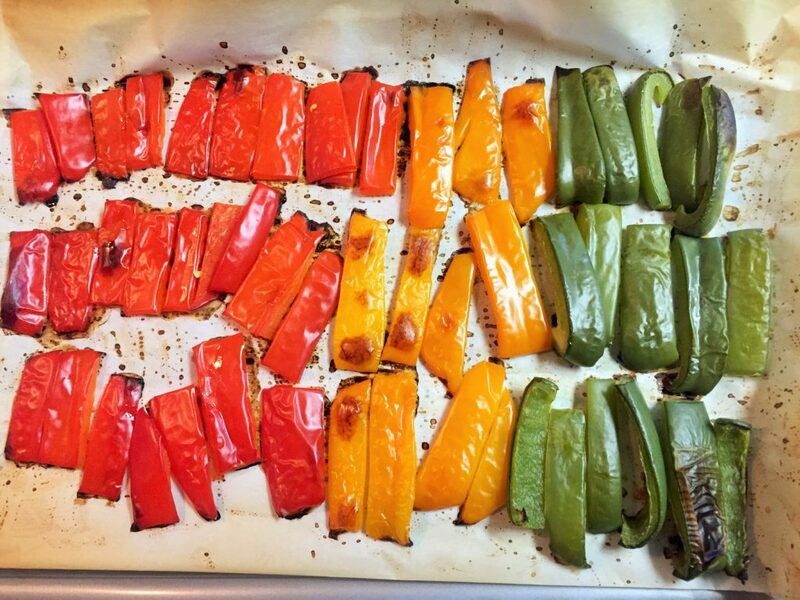 Cut the bell peppers into bite-sized pieces and arrange skin side up on a parchment lined baking sheet. Roast the peppers for 25-30 minutes, rotating the baking sheet at 10 minute intervals. While the peppers are roasting, wash and chop the lettuce. Divide into 4 large salad bowls. Divide the pinto beans, corn, tomato and avocado evenly among the 4 salad bowls. Garnish each salad with green onion and shredded cheese, if desired. 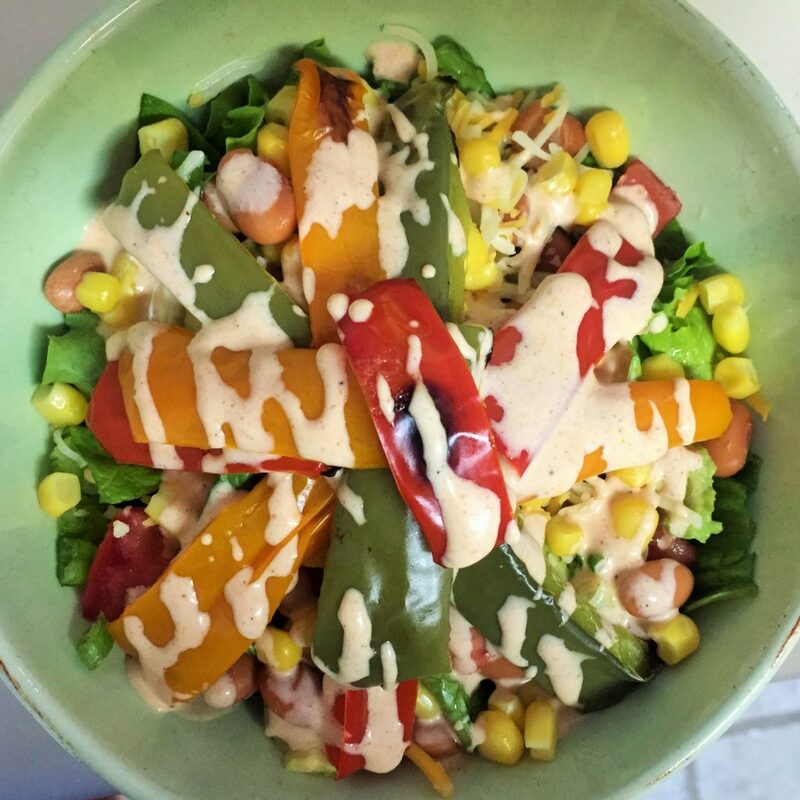 Top salads with roasted pepper slices and drizzle Southwestern Ranch Dressing over each. That looks amazing! I’ll definitely be making that soon. Thanks Alex, hopefully you love it! Looks delicious, can’t wait to make it. Thanks Teri, let us know what you think when you do! Yum, I really want to try this ! Thanks Vicki, I hope you love it! I love how colorful this salad is. So pretty!! Thanks, Angela! They say to eat the rainbow… right?? My husband would love that! he loves loves bell peppers!